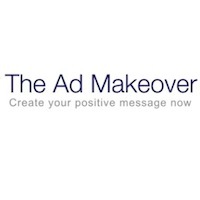 To do this, Dove created an app called the Ad Makeover. It allows Facebook users to select one of eight esteem-boosting messages to replace negative ads that target women’s insecurities. Instead of the latest wrinkle cream, users will see slogans such as “Every body is beautiful” and “Joy is the best makeup” in Facebook’s sponsored ad space. The Dove logo appears with every message. In fact, the messages themselves are ads. A Facebook spokesperson says Dove pays for advertising space every time a user chooses to post one of their slogans in place of another ad. The app, part of the Dove Campaign for Real Beauty, flies in the face of traditional advertising wisdom, which says advertisers must create consumer need for the products they sell. The quickest way to stimulate need, of course, is to tell consumers they have flaws that need fixing. 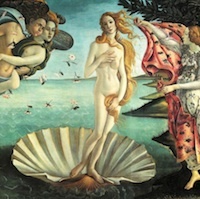 Over the years, advertisers have highlighted imperfections in every part of the female body—from dull hair and chapped lips to small breasts and flabby thighs—to push the thousands of beauty products designed for women. Dove says the assault on women’s self-esteem has been devastating: only 4 percent of women now see themselves as beautiful. The company wants to change that. The Ad Makeover is the latest development in Dove’s global Real Beauty campaign, which started in 2004 and gathered significant press coverage for its billboards portraying women of various sizes. So far, the campaign appears to be working in the company’s favor. 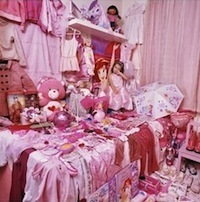 Sales of its advertised products increased 600 percent in the summer following the campaign’s launch. Many in the media have praised Dove for its efforts to promote a more realistic standard of beauty and help women feel better about themselves. It’s unclear how Dove’s Facebook app will translate into the sale of specific products, since the ads only show the company’s logo. Also, the question remains as to how such a strategy can be successful, since it encourages women to feel satisfied with their appearance. However, the app offers a novel approach to targeted advertising: It allows consumers to choose the ads they wish to be displayed to their peers. If the app catches on, it could change the face of advertising—and lead to unprecedented exposure for the beauty goods manufacturer.